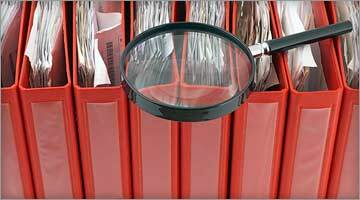 FMLA docs, COBRA notices: Are your policies legal? Take a look at these two tricky, real-life benefits scenarios that could crop up at your company. These two companies were sued over their benefits practices. Would you have handled the situations differently? Check out what these companies did and what a judge had to say about their actions. What happened: The employer’s attendance policy said that when employees arrived late or missed a shift due to a medical condition, they were required to bring in a doctor’s note as documentation. So when an employee — who was approved for intermittent FMLA leave after being diagnosed with depression — missed a shift, she was asked to bring in a doctor’s note within three days. When she failed to do so, she was fired. Was the company’s decision to terminate her legal? The decision: No. A court ruled against the employer. The reason? While companies can require doctors’ notes to confirm that absences were medical-related, they must give employees at least 15 calendar days to submit the paperwork. What happened: After an employee was terminated, he claimed he never received his notice of COBRA eligibility. The company’s benefits manager said she sent the notification to the employee’s home address as soon as she heard of his termination. However, the employee claimed he no longer lived at that address, and that it was the company’s responsibility to verify his current address before mailing the notice. The decision: No. A court ruled that the company did all it was required to do, which was send the notification to the man’s last known address. It was on the ex-employee to let the company know if he had moved, the court said. Cite: Turner v. Adidas Promotional Retail Operations, Inc. The courts got both of these right — will wonders never cease. For the sake of argument, in the first case mentioned here (the intermittent FMLA) would not the initial request for intermittent leave and subsequent doctor certification of leave stand and protect the employee’s position if the employee missed work during the time period that the doctor certified? I would think so as long as the employee missed work for a depressive episode. I can understand in some situations where more than (3) days would be needed however, most doctors will provide a Return to Work form with the date that the employee should be able to return to work at the time the individual is finished seeing their doctor before they leave. If it is something that requires a return appointment to the doctors office first, then the doctor will usually write that a followup appointment is scheduled on ____ in order to determine if the employee can at that time return to work. So was the decision in favor of the employee because of the type of illness or does this apply in all cases? I totally agree with MH on the fact that the employee would NOT need another doctor’s note since the original certification by the doctor should suffice.